Enough Excuses — San Diego’s Homeless Problem Is Solvable - OrgCode Consulting, Inc.
San Diego has a solvable homeless problem. It is time to focus on solutions rather than focus on excuses. There is one known cure to homelessness: housing. If you are not doing everything in your city to focus all efforts on housing, you fail. In the few times I have been to San Diego I have heard organizations that work with people that are homeless and other community leaders speak of how unique San Diego is, or how difficult the politics are to navigate between the county and city. San Diego has no shortage of ideas in search of a strategy. There is nothing that holds the various homelessness initiatives together to achieve an acceptable level of comprehensive action. The county’s recently announced attempt to navigate how people will get connected to resources may be promising, but is on shaky ground given the track record in the community. Take a look at where the city has gone recently with prioritizing homeless shelters. Shelters do not end homelessness. They are the process by which people get permanent housing. As San Diego has gone the route of year-round shelter, the expectations of permanent housing outcomes are woefully low. More people are returning to the streets after a shelter stay than anything else. The data is depressing. Meanwhile, there is growing frustration that people outdoors are not going into shelters. Why would they? If I were homeless, why would I use a service that does not end my homelessness? Street outreach is not about connecting to people on the street for the sake of having connections. Nor is street outreach about cajoling people into shelter. Street outreach is about housing people directly from the street. Look at the data, and it is clear that street homelessness continues to climb in San Diego. Sanctioning parking lots for people to park overnight is useless unless there is a focus on housing. So are other ideas that have been floated, like a tiny-home village, legalized campground and large-scale low-barrier gathering spots. If there isn’t a singular focus on housing, you have a lot of non-profits that are really busy but remarkably ineffective. San Diego is not different from everywhere else when it comes to homelessness, nor are the people who are homeless more acute. In fact, almost everyone that has the exact same characteristics as San Diego’s homeless population is housed and never will be homeless. Here are the facts: 3 percent of the population has an addiction or dependency on illicit drugs and 6 percent uses alcohol heavily, where 89 percent does not get any treatment or rehabilitation for the illicit drug use and 93 percent does not get any assistance for heavy alcohol use – yet almost all of these people are housed and will never be homeless. Four percent of the population lives with a serious mental illness and less than 64 percent get any counseling or mental health treatment – almost all of these people are housed and will never be homeless. 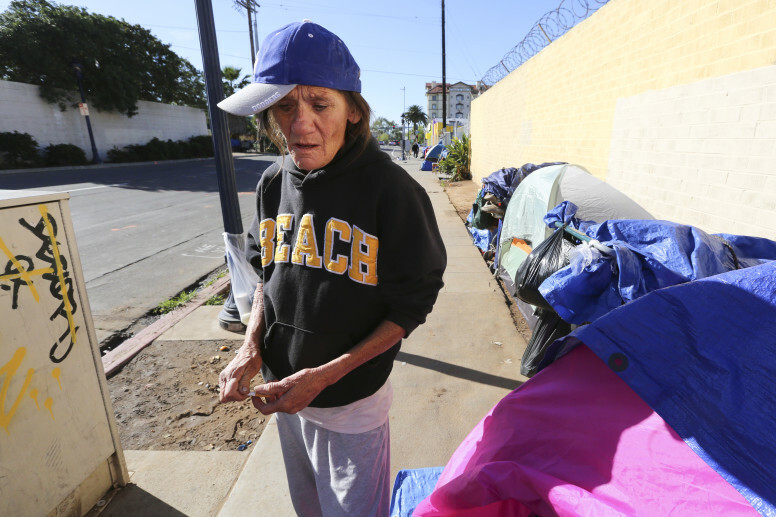 Fifteen percent of San Diego lives in economic poverty, where the average median rent is about $1,400 and 55 percent of tenants are rent-burdened, yet almost everyone who is living in poverty and rent-burdened is housed and will never be homeless. And almost all of these people will be housed in the private market without any federal or state subsidy. And lest you think the majority of people with these characteristics are overcrowded or doubled up in housing, they are not. The problem is not the lack of housing in San Diego or lack of housing for people with complex needs like addiction or mental illness. The problem is that the community does not know how to access these housing opportunities (even while tens of thousands of other people in San Diego do so all on their own), and therefore there is a false sense that unless every person gets a permanent subsidy, the city will not be able to move forward to address homelessness. Appoint a leader to transcend county and city issues on matters of homelessness, provide guidance to the continuum of care of service providers, knit together a coherent strategy and implement performance-based contracting for all service providers. Align governments and philanthropic funding into a collective model that invests in solutions rather than busy, feel-good initiatives. Move from a grant mentality of funding to a purchased service model where expectations and deliverables related to ending homelessness are required. Leverage opportunities in the existing housing market while concurrently acquiring and building housing, and converting all transitional housing to permanent housing. Invest in the training necessary to professionalize the homeless service-delivery system, and stop confusing big hearts with big brains. There are certain proven approaches to ending homelessness and those have to be implemented. Drive program development through transparent data reporting to increase accountability and demonstrate the utility of investments. Stop funding any program or organization that does not demonstrate a steadfast drive to end homelessness. Increase the leadership capacity within service providers so that they know how to create and maintain complicated systems of care that work with complex people.